using the inserted micro-chip to conduct transactions in much the same way as one would normally do these days using a mobile device. “So what?” You may ask. The idea of having micro-chips inserted into the human body for various reasons has been a staple of science-fiction for quite some time. 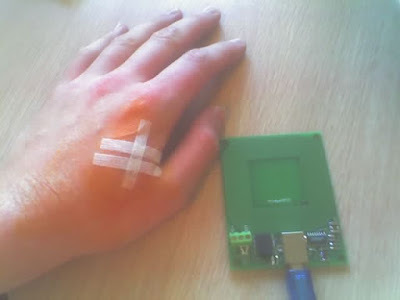 There have even been reports of companies providing access to such micro-chip implant technology to their employees free of charge. It seems that such a technological advancement is a logical extension of the current portable nature of our ever-present wireless devices, together with our dependence on them. Such technological integration may even be a first step along a new path for human evolution to take away from a purely biologically-based form of evolution which may have reached a dead end. True, such a development would be convenient, but it would also be potentially dangerous if we just choose to focus on the ‘Wow’ factor without stepping back a moment and taking the time to consider the likely implications for us individually and for society as a whole. 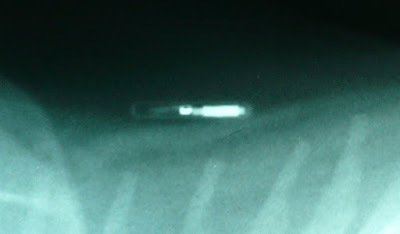 Micro-chip implant technology has become normalized in various countries as far as pet ownership is concerned. In such places, it is a requirement to have pets microchipped so that their medical treatment history can be accessed, their whereabouts traced, and ownership verified. What if such implant technology becomes normalized for human beings? Sure, it may initially be offered free of charge in some work places or it might start off on a voluntary basis in the wider community. However, over time you could count on it becoming a compulsory requirement, possibly under the guise of national security or anti-fraud and anti-identity theft measures. We may also find that along-side the required necessary vaccinations we receive as infants, there will also be a requirement to have a micro-chip implant on which all our personal data will be recorded and periodically updated. The nature and extent of such recorded personal data, along with who could gain access to it ought to be of concern. Then there is the question of whether such technology could be used by those in authority to track and monitor the movements and activities of individuals. We may indeed find ourselves having to agree (between gritted teeth) that such a development is “great.” Especially if we wish to be able to function in this brave new world - to do such things as obtain a loan, to gain employment, to receive benefits and assistance, to communicate, to gain access to information and resources and so on. In return for all this convenience, all we need to do is acquiesce and hand over our right to personal privacy…and possibly more….Is this the kind of world we would want for ourselves and our children?